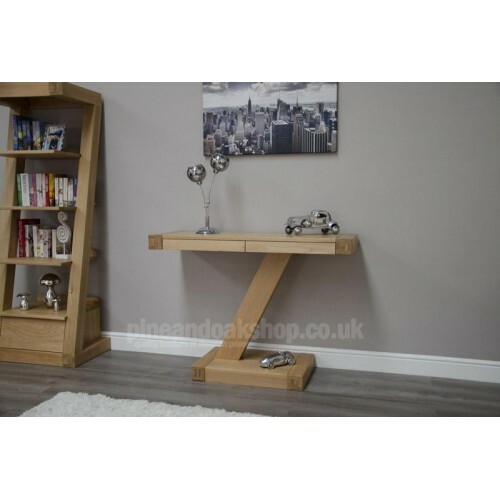 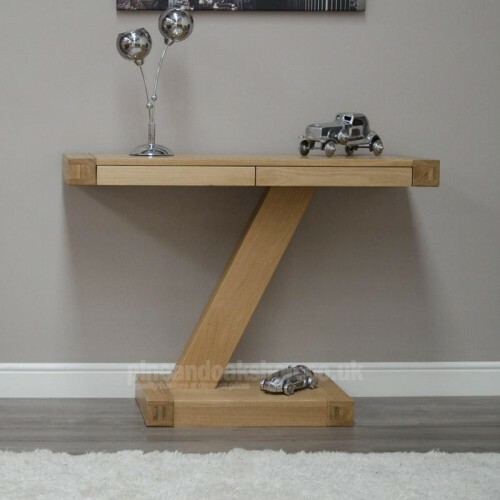 The Z Oak Modern Console Unit is from a range of modern style designer furniture which is constructed using traditional techniques from the finest quality European oak. 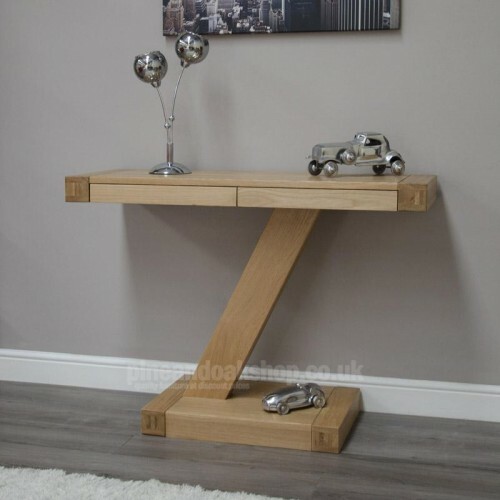 Z oak furniture is also interchangeable with other oak ranges and has a light lacquer finish which enhances the natural beauty of the oak grain. 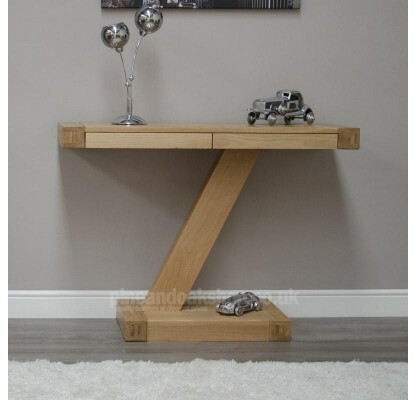 The Z oak designer furniture range includes items for the hall, office, study, living room and dining room and is delivered both part or ready assembled.